iStile is a press office and event agency for the communication of companies, brands, products and destinations, taking advantage of the competence and intuition of well-experienced editors and collaborators. 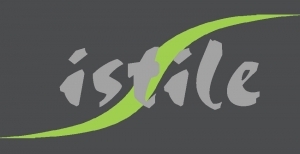 iStile is a modern and dynamic communication agency offering product & corporate press services, able to grant a qualified and monitored visibility, also abroad. 1) the prefix “i-” points out the deeply digital and advanced character of our communication, diffused also through the most relevant social media. We are not only online, however, but also offline. iStile addresses to the traditional media, too: the most influential newspapers, journals, reviews, radio and TV. 2) iStile (pronounced aI Sti:le) in Italian means “You have style! You are stylish!” That’s because our activity aims to communicate, endorse, defend and enhance our clients’ image. We create successful contents for web and printed paper, we are attentive to the internet news and active in blog relations and social networking, managing and improving the social profiles. We work close together with our clients, we visit the companies and test, when possible, their products and services. We choose a direct and human knowing to communicate passion. We care quality, and we grant it for all our services, from the text writing to the selection of caterers and event locations. Our news distribution channel is composed by a wide and highly qualified network: journalists, writers and editors working on current newspapers and tourism, fashion, design and women magazines. – sustainability, i.e. respect for environment and territory, energy saving, recycling and the objects’ new life. These are our values and we love to collaborate with the companies, which recognize and identify themselves in the same values. The company that wants to communicate and promote itself comes up very often against the necessary choice between a press office or advertising planning. Given that the most efficient communication is an integrated one, that varies in the different ways of advertising, press releases, PR and events, one of the reasons to choose iStile as your communication partner is the opportunity for our clients to be present, with no additional costs, on the website www.viviconstile.it, to which iStile belongs as Press Office Division. Viviconstile.it, the travel and lifestyle website born in 2011, has established itself as benchmark in the sector thanks to its ability to understand the trends and to meet the needs of an audience that is increasingly interested to quality: good editorial contents and a valid tourist offer. Futher to the Style Channels – Travelling in style, Eating in style, Drinking in style, Shopping & Design, Stylish Events – the section Style & Wellness is dedicated to the wellness ways and locations. Viviconstile’s framework helps an intuitive and accessible web surfing. This, together with the creativity of expert editors, able to write original articles with competence and newsworthiness, allows to reach the target of high spending visitors, transferring thus to the web the ability to reach a selected readership, until now a prerogative of the traditional press. www.viviconstile.it : a website that shoots a beautiful photograph to the world, to keep up-to-date about the latest trends and products, telling you all about what makes life more stylish, without necessarily being luxurious.